Reboot Router: we have had minor wireless issues when using Kindles in the past. In most cases, they go away if you reboot your router. Just unplug your router, go get a cup of tea, and plug it back in. Monitor your network connection to see if the problem is fixed. Reboot Your Device: turn your wireless on and off to see if that works. Rebooting your device could also solve many issues. Just hold the power button for 20 seconds and release it. Check for updates: you should always make sure your router and e-reader run the latest software. You should be able to download the latest updates over the air (for Kindle) and your router manufacturer’s website. Find what’s causing interference: finding what’s causing wireless interference in your home is not always easy. How you have set up your network plays a role. Cordless phones, wireless headsets, and surveillance cameras can all cause interference. You might want to try changing the location of your router. When all fails, you may want to use inSSIDer to find a better channel for your WiFi and analyze your network’s performance. 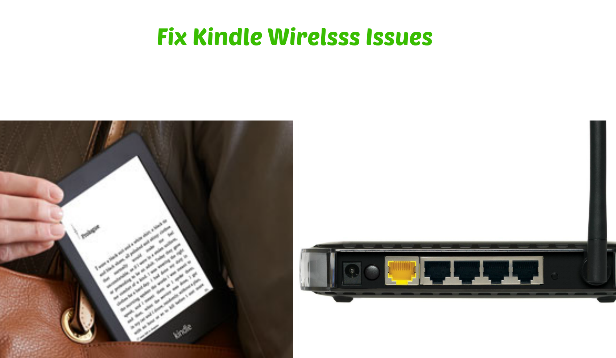 Get a new router / replace your Kindle: routers and Kindles both fail after a while. It could happen after a couple of months or a couple of years. At the very least, you should try a completely new router to make sure you are not wasting your time trying to diagnose what’s ailing your wireless network. You could spend days trying to figure out what’s causing wireless issues in your home or office. If other devices are not having issues connecting to your network, there could be something wrong with your Kindle. By following the above steps, you will know whether you need to get your Kindle replaced.